KITTY, DAISY, & Lewis have always done things their own way. Long before the rock'n'roll/rockabilly revival became hip, the then teenagers were recording on old analogue equipment to give their rock and blues an authentic 1950s vibe. The Durham siblings, who hail from London, took music fans by surprise when the then teenagers released their eponymous 2008 debut album and consolidated their reputation in 2011 with its swaggering follow-up, Smoking In Heaven. 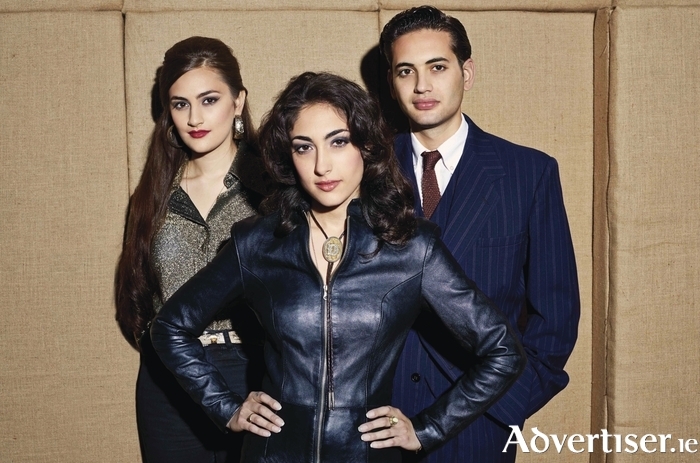 Now in their early 20s, more experienced, and with a young adult's desire to branch out from their early influences, the trio built an analogue studio in a derelict Indian restaurant in Camden Town last year and, with The Clash's Mick Jones in the producers chair, recorded the album, The Third, released in March this year. The KD&L sound has now expanded beyond blues and rock'n'roll. As The Guardian's Helen Brown said, their new sound is "a hot, sweet pancake stack of danceable tracks, drizzled with drama", one that embraces "gutsy, Nancy Sinatra-style stomp" and "disco theatrics". Clashmusic.com's Gareth James meanwhile praised the "all-out ska of ‘Turkish Delight’" and the fact that, "as much as this music may owe a debt to the past, it sounds vibrantly, emphatically current". Kitty, Daisy & Lewis play Strange Brew at the Róisín Dubh on Thursday May 21 at 9pm. Tickets are available at www.roisindubh.net, the Ticket Desk at OMG Zhivago, Shop Street, and The Róisín Dubh.